Pianist Andrew Staupe is emerging as one of the distinctive voices of a new generation of pianists. 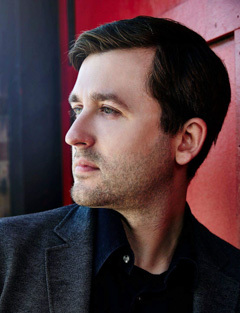 Andrew has appeared as soloist with the Minnesota Orchesta, Baltimore Symphony, San Diego Symphony, Houston Symphony, Fort Worth Symphony, Colorado Symphony, Indianapolis Symphony, Utah Symphony, Maryland Symphony, Arkansas Symphony, Tallahassee Symphony, Bangor Symphony, and many other orchestras throughout the United States. He has collaborated with distinguished conductors Osmo Vänskä, Bobby McFerrin, Jahja Ling, Gerard Schwarz, Andrew Litton, Cristian Macelaru, Larry Rachleff, Lucas Richman, Elizabeth Schulze, Rossen Milanov, Daniel Hege, and Josep-Caballé Domenech. In 2012 Andrew made his Carnegie Hall debut to critical acclaim, in which New York Concert Review stated that “Staupe gave a brilliant performance, handling the virtuosic demands with apparent ease… I was stunned- this was one of the most incredible performances… A once in a lifetime performance!” He has performed across the United States and extensively in Europe, appearing in France, Holland, the Czech Republic, Austria, Hungary, Latvia, Romania, Russia, Germany, and Bulgaria. On tour in Europe, he has appeared in distinguished concert venues including the Concertgebouw in Amsterdam, Rachmaninov Hall in Moscow, the Salle Cortot in Paris, and the Ateneul Roman in Romania. An avid chamber musician, Andrew has jammed with legendary vocalist Bobby McFerrin, played Tangos with the Assad Brothers, and has performed with Chee-Yun, Sharon Robinson, Martin Chalifour, Jessica Rivera, Desmond Hoebig, and Joseph Swensen. Andrew has a keen interest in performing new music and has premiered a number of works for solo piano and chamber ensemble by composers Howard Shore, Sarah Kirkland Snider, Christopher Walczak, Christopher Goddard, Karl Blench, Miguel Chuaqui, Igor Iachiumciu, John Costa, and Anthony Brandt. Other notable performances include concerts at the Kennedy Center and the Library of Congress in Washington DC, and Steinway Hall in New York City. He has performed twice on American Public Media’s “Performance Today,” and on Garrison Keillor’s “A Prairie Home Companion” in 2004. Deeply committed to teaching, Andrew is an Assistant Professor of Piano at the University of Utah, and gives frequent master classes around the country. A native of Saint Paul, Minnesota, he earned his Doctorate at Rice University with Jon Kimura Parker, and studied at the University of Minnesota with Lydia Artymiw.